20th February 2019: The trial civil on the claim filed by 102 surviving passengers and relatives of deceased passengers is developing. New issues have been raised by the defendants during the 20.2.2019 at the Bari Court. The Judge is now expected to issue an order/ intermediate decision deciding on the issues raised and fixing the new hearing date for the continuance of the trial. On February 20, 2019 will take place at the Court of Bari the next hearing of the civil lawsuit for the award of compensation to the survivor passengers and to the families of deceased or missing passengers of the vessel NORMAN ATLANTIC who are represented by our office. Given that the procedural issues that had been raised by various parties have now been resolved by the Court, it is expected that during the aforementioned hearing the Court will examine the substance of the case and the serious responsibilities and liabilities of the defendants. Furthermore, with regards to the penal aspect of the case which is determined as far as the procedure is concerned by the Public Prosecutor and the Criminal Court of Bari, it has been announced that the criminal trial against the shipowners and the officers of the vessel NORMAN ATLANTIC will take place during this year. However, nohearingdateshavebeenfixedyet. The annual conference of the Pan European Organisation of Personal Injury Lawyers (PEOPIL) successfully took place in Paris between 6 and 9 September 2018. Silina Pavlakis from Pavlakis – Moschos & Associates participated as a speaker at the conference with a presentation on “BEREAVEMENT DAMAGES” in Greece (available online in pdf format). The third hearing of the civil action of the NORMAN ATLANTIC maritime accident victims represented by our firm took place before the Bari Court of Italy on 11 July 2018. During this hearing, procedural and pre-litigation issues were again raised by various parties to the proceedings. The competent Judge, Carmela Romano, deemed that the resolution of these issues is necessary before the Court proceeds to examination of the substance of the case, i.e. the facts of fire on the ship, the causes and liabilities for the maritime tragedy, and the damage and losses suffered by the victims. An order / preliminary ruling is expected to be issued by the Judge shortly. The new hearing date before the Bari Court - which is expected to get into the substance of the case - will be determined by judicial order in a short time. 1. The Civil Procedures, regarding the compensation claims that have been filed on behalf of the survivors and families of deceased passengers who are being represented by our law firm: On 4 April 2018 the parties to the dispute appeared for the second time – the first being on 27 September 2017 – before the Tribunal of Bari, Italy, where the civil claims for compensation are pending. The Court is still at the stage where procedural, necessary issues are being examined. The next hearing has been fixed for 11 July 2018, during which it is possible that the Judge will enter into the substance of the case, including the factual circumstances, the causes for the tragedy, the responsible parties and the liabilities involved. 2. The Criminal Procedure: Extensive evidence material, information, data, indications etc. have been gathered and examined. The pre-judicial investigation by the technical experts appointed by the Judge in Bari (GIP) has been completed. Technical reports have been issued by the GIP, the competent Italian Port Authorities, the experts appointed by the Public Prosecutor in Bari, the special committee instructed by the competent Italian ministry. It is now expected that the Prosecutor in Bari will soon pronounce and file charges against specific accused persons for the tragic maritime incident. The date of commencement of the criminal trial in Bari Courts has not yet been fixed. In July 2016, the European Commission condemned manufacturing truck companies that occupy 90% of the European market, for participation in a cartel and harmonized practices aiming, among others, at price-fixing of trucks. The companies involved are MAN, DAIMLER, IVECO, DAF, VOLVO/RENAULT, which admitted their guilt and cooperated with the Competition Commission, in order to obtain a 10% decrease of the fine, which was eventually set at 2,9 billion euro. SCANIA denied participation at the cartel. The Commission continued the investigation and concluded, in its decision dated September 27, 2017, in the condemnation of SCANIA, imposing a fine of 880 million euros. According to the decision, the cartel operated from January 17, 1997 until January 18, 2011, that is, for 14 years. It concerned trucks of 6-16 tons of weight (medium trucks) and “heavy-duty” trucks over 16 tons. Those who bought or leased such trucks during the period from 1997 to 2011 have most probably been damaged due to the cartel, since they paid a higher price than what they would have paid if competition conditions applied in the market; it is probable that those people and companies are entitled to compensation from the manufacturing companies, provided that the existence and the extent of such damage is fully proven. Our office, in cooperation with lawyers in other European countries who already handle claims of truck owners, is actively involved in this case, planning a pan-European claim for damages. Silina Pavlakis, member of the board of directors of the Global Justice Network (GJN), participated in GJN’s Spring 2017 Conference which was held in Prague, Czech Republic, from 25 to 27 May 2017. 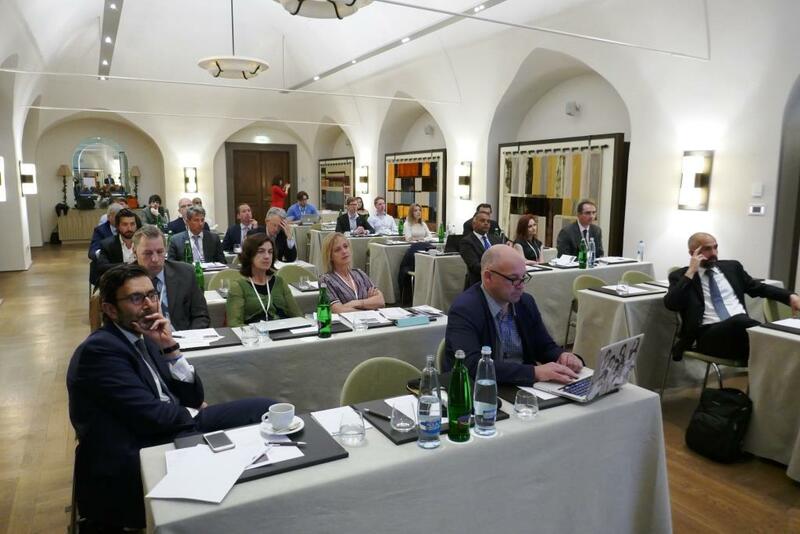 The conference focused on human rights issues, pharmaceutical and medical devices, financial claims, as well as the possibility of filing collective claims in Europe. 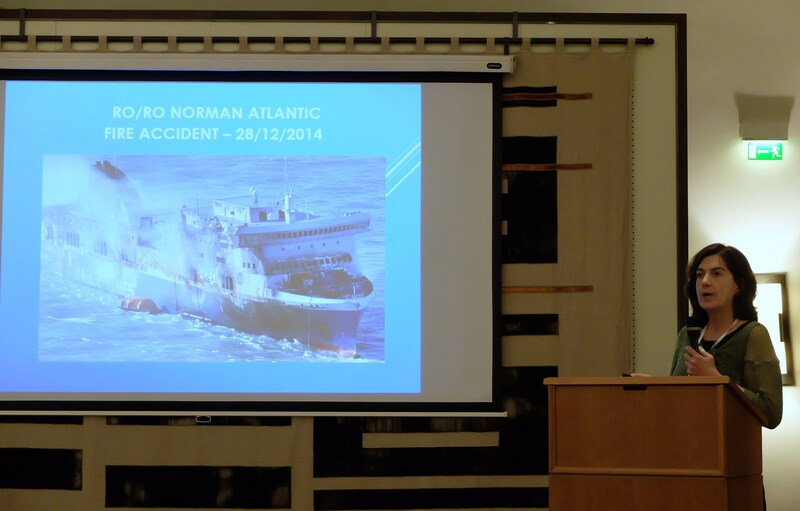 During the works of the conference Silina made a presentation on the Norman Atlantic maritime tragedy case, which is being handled by our office in cooperation with the Italian law firms “mbo law” and “Ambrosio & Commodo ”, members of the GJN. Greece had enacted Laws 4092/2012 and 2837/2000, establishing restrictions and limitations respective to the liability of the Hellenic Auxiliary Fund (EPIKOURIKO KEFALEO) in Road Traffic Accidents. By its recent decisions (nr. 3/2017, 4/2017 and 5/2017) the Civil Section of the Supreme Court of Greece, in its Plenary Session, held that these law provisions, directly contradict and violate the Greek Constitution and the First Protocol of the ECHR, and as such they have been pronounced invalid and unenforceable. The monetary limitation of non-pecuniary damages payable by the Auxiliary Fund to the secondary victims of fatal RTAs to the maximum compensation of 6.000€ per beneficiary. The general monetary limitation of the Auxiliary Fund liability not exceeding in any case 100.000€, with retrospective application to accidents that happened prior to the law enactment. The restriction of interest due by the Auxiliary Fund on payable compensations to 6%, substantially lower (almost half) than the interest imposed on all other private debtors and parties in litigation. Claims for non-pecuniary damages were brought before Greek Courts by the parents and grandparents of a minor who died in a fatal Road Traffic Accident. The claim was brought against the owner and driver of the liable vehicle and against the civil liability insurance company “ASPIS PRONOIA A.E.”. During litigation the insurance company went bankrupt and its license was recalled. The Greek Auxiliary Fund “EPIKOURIKO KEFALEO” entered ex lege into the place of the bankrupt insurer and continued the pending litigation defending against the claimants’ arguments and claims, by force of article 25 par. 4 of Greek law 489/1976 codified by Presidential Decree 237/1986, implementing the respective EU law. (c) that the interest due by the EPIKOURIKO KEFALEO on the payable compensation to the victims shall be calculated on the basis of a 6% annual rate, i.e. considerably lower (almost ½) than the legal interest rate applying to the other debtors. - The European Convention on Human Rights. « […] It must be noted that by the above mentioned provision of article 1 par. 4 of the Second Directive 84/5/EEC, according to which “ Each Member State shall set up or authorize a body with the task of providing compensation, at least up to the limits of the insurance obligation, for damage to property or personal injuries caused by an unidentified vehicle or a vehicle for which the insurance obligation provided for in paragraph 1 has not been satisfied”, it is also established that there is an obligation for payment of compensation for non pecuniary damages in case of death (Supreme Court, Plenary Session 9/1993, ECJ C-277/12 of 24-10-2013 in the case Vitalijs Drozdovs vs. Baltikums AAS). Furthermore, it is prescribed by art. 9 par. 1 of the codifying Directive 2009/103/EC exactly which are the minimum limits of the insurance cover which must in any case be complied with (ECJ-C-348/98 Fereira dd 14-11-2000). Furthermore, according to art. 25 par of the [Greek] Constitution, the rights of the person as individual and as member of the society are guaranteed by the State, whilst any kind of limitations/restrictions imposed to these rights must be either directly provided for by the Constitution or by the law but based on respective authorization and under the condition that the principle of proportionality is safeguarded. Finally, by art. 1 of the First Protocol of the European Convention, that has been ratified by (Greek) Law 53/1974 and is of higher formal validity than the common (usual) laws, it is provided that “Every natural or legal person is entitled to the peaceful enjoyment of his possessions. No one shall be deprived of his possessions except in the public interest and subject to the conditions provided for by law and by the general principles of international law. The preceding provisions shall not, however, in any way impair the right of a State to enforce such laws as it deems necessary to control the use of property in accordance with the general interest or to secure the payment of taxes or other contributions or penalties”. The setting of six thousand euros (6.000€) as the maximum limit for the non pecuniary damage of each beneficiary in case of a fatal accident is directly contradicting art. 1 par. 4 of the Second Directive 84/5/EEC, according to which “ Each Member State shall set up or authorize a body with the task of providing compensation, at least up to the limits of the insurance obligation for damage to property or personal injuries caused by an unidentified vehicle or a vehicle for which the insurance obligation provided for in paragraph 1 has not been satisfied”; this is a provision that covers also non pecuniary damages (moral damages) in case of a fatal accident, as above stated. Also, the imposed maximum limit of 6.000€ compensation is contrary to the principle of the strict sensu proportionality (art. 25 par. 1 d of the [Greek] Constitution), because this intervention by the legislator is not effective for the achievement of the intended purpose, i.e. to ensure the viability of the Auxiliary Fund; furthermore, it is also not necessary for the achievement of its purpose, since this could have been achieved by use of milder means, either by providing for an extra financing of the fund by the state budget or by obliging it [the Fund] to improve its financial situation by increasing its income and reducing its operational expenses. On the other hand, the application of the above provision, which extends the application of this upper monetary limit of the EPIKOURIKO KEFALEO liability to already existing/pending claims, is invalid, because it is contrary to the above mentioned article 1 of the First Additional Protocol of the ECHR, […]. This provision establishes the right of a person to have his property respected, which [property] the person can be deprived from only for reasons of public interest. The meaning of property includes not only rights in rem but also all rights of “property nature” and established “economic rights”. Accordingly, the rights arising out of obligations are included, and more specifically claims, […] The afore mentioned provision of [Greek] Law 4092/2012 to drastically reduce/limit the height of the non-pecuniary damages payable by the EPIKOURIKO KEFALEO is in essence abolishment of the civil right of the beneficiaries arising out of the death of their relative in a road traffic accident. This legal provision is therefore incompatible with article 1 of the First Additional Protocol of the ECHR, because it tends towards an unjustified deprivation of a property item of the beneficiaries, without the presence of public benefit reasons. The mere budgetary/cash interest of the EPIKOURIKO KEFALEO does not consist public benefit. Furthermore, as per art. 4 par. 1 and 2 of the [Greek] Constitution, Greek citizen are equal in front of the law. Greek citizen have equal rights. By this provision, it is not only the equality of Greek citizen in front of the law that is established, but also the equality of the law towards them, in the sense that the legislator, when regulating essentially similar things, relationships or situations, categories or persons, cannot differentiate his regulation by introducing exceptions, unless when the different regulation is not arbitrary and is imposed by reasons of general public interest/benefit; this existence of special circumstances or social or public interest/benefit is subject to the control of the courts (Supreme Court, Plenary Session 3/2006, 38/2005, 30/2005, 23/2004, 11/2008). Finally, by article 14 of the International Covenant on Civil and Political Rights, «all are equal in front of the courts”. Each person is entitled to have his case tried just and in public, by a competent, impartial and independent court of justice … in disputes of civil rights and obligations”. The International Covenant on Civil and Political Rights has been implemented into Greek legislation by Law 2462/1997. In the sense of these provisions, the principle of equality of the litigation parties, which is a special manifestation of the principle of equality, imposes their equal treatment by the legislation which determines the terms of judicial protection. Therefore, law provisions by which favorable treatment of one of the litigation parties is being established, which party gets in a favorable situation in comparison to his counterparty, are not enforceable/not valid (Supreme Court, Plenary Session 12/2013, 4/2012). Accordingly, the provisions by which it is determined that the interest rate that is payable by the EPIKOURIKO KEFALEO is 6% per year, i.e. a rate that is lower than what its own debtors are obliged to pay to it and which applies to all debtors, is contradicting to 1) art. 4.1 of the Constitution and art. 14 of the International Covenant on Civil and Political Rights, since by these law provisions a favorable treatment of the EPIKOURIKO KEFALEO is established whilst his counterparty is placed in disadvantage and 2) to art. 1 of the First Additional Protocol of the ECHR, since by these favorable provisions, damage is being caused to the counterparty of the EPIKOURIKO KEFALEO (in this present case to the respondents), without this being justified by reasons of public interest, since the mere cash interest of the EPIKOURIKO KEFALEO cannot justify the violation of road traffic accident victims’ right to claim and to be paid interest for their claims at a rate equal to that what private parties are obliged to pay in general, while the fact that the EPIKOURIKO KEFALEO, which is not a public law legal entity, but is simply under the control of the State (Supreme Court 1025/2015) does not constitute a public interest reason. Furthermore, regarding the application filed by the applicant with its pleadings for the submission of a preliminary question to the European Court of Justice acc. το art. 267 of the Treaty on the Functioning of the European Union, based on its [the applicant’s] argument that there exists an interpretation issue of the primary and secondary EU law and in particular an issue for the interpretation of art. 1 par. 4 of the Directive 84/5/EEC in relation to art. 4 par. 1 of [Greek] Law 4092/2012, it is held [by the Court] that the requirements are not present for the reference of a preliminary question and specifically there exists no doubt about the interpretation of the above EU law provision and therefore there exists no necessity for a ECJ preliminary ruling; the respective application is therefore rejected. […]».